Last evening, as has been the custom for almost 20 years, the home of Tammy and Sidney Cohen (partners at 18 Restaurant) was once again the center for a gathering of a diverse group of people. We came to commemorate the anniversary of Rabbi Meir Ba’al Haness’ departure from this world. On such an occasions we give tzedakah in the Sage’s name as we pour our hearts out to the Almighty about our most urgent needs. 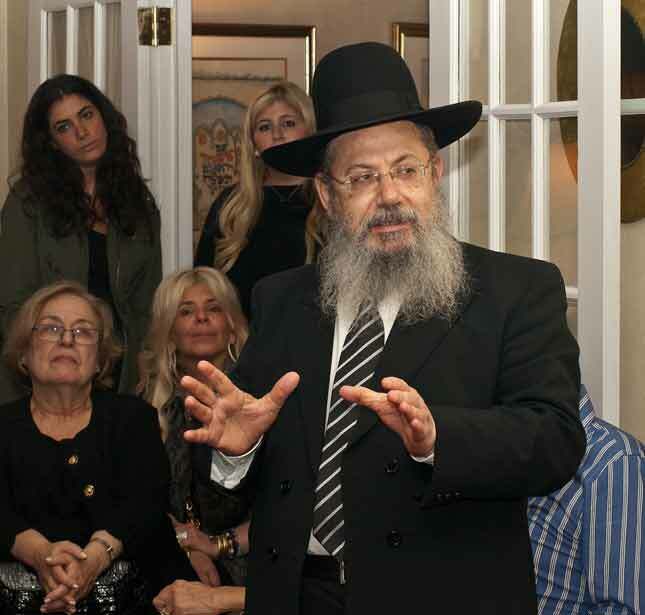 The table was laden with various trays of rice, chicken, fish, beef, meat balls and salads; as everyone grabbed a bite, the speaker regaled us with divrey Torah. HaRav Yechiel Azoulay, spoke eloquently and with humor on the question of why Rabbi Meir was known as Ba’al Haness. Doesn’t every Jew have a personal miracle story he can tell? Why has only Rabbi Meir merited the added title? Rav Azoulay told over a personal story of a miracle Hashem did for his own family (when the Rosh Yeshiva was merely 6 years old, as the family expected to leave Morocco for Israel), a story that showed Hashem had saved a whole family without the need to invoke Rabbi Me’ir‘s help. 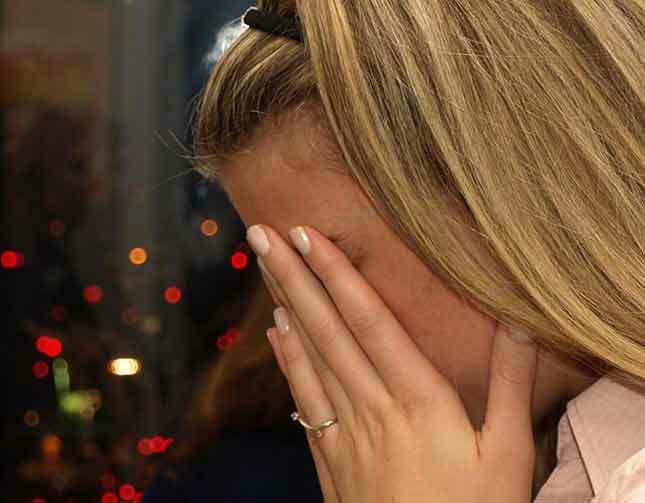 He then proceeded to tell the story of his brother’s childless marriage (for many years), how Rabbi Meir’s intercession helped when Israel’s top doctors were unable to. Of course, as expected, his brother is a now proud father of a boy named… Meir! Harav Azoulay explained that the reason for Rabbi Meir being singled out with the addition of Ba’al HaNess is because as long as one precedes his/her personal request with “Eloka d’Meir aneni,” and the person truly seeks the Almighty’s help that request will be always be honored. An inspiring evening, Eloka d’Meir anenU! God of Meir, answer US all! Since he was very young, Haim Dadi knew what he wanted to do. His parents had a restaurant in Israel and whenever he visited their place – as a child – he loved the hustle and bustle, the aromas, the sounds of the patrons. 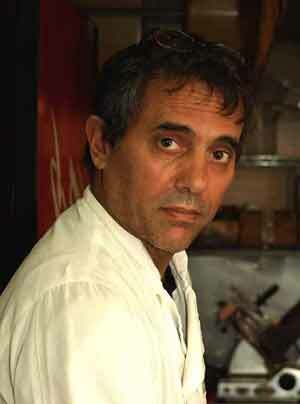 He is currently Chef/Partner of 18 Restaurant on 81st Street and 2nd Avenue. I’ve watched and followed him through every area of his restaurant and – as amiable as he is outside the cooking area – it is in the kitchen that he truly comes alive as he cooks, as he talks to his staff, as he experiments with more delicious ways of preparing his fare. I spoke to Chef Haim recently to find out what makes him tick, what it is that spurs him on. Twenty five years ago he opened his first restaurant in Beersheva with his brother, serving mostly shawarma and a few other grilled items. Three years later, he arrived in New York and opened his first venture in Forest Hills – Tel Aviv Haktanah, though very successful he did not get along with his partner. He left for a place in Manhattan called Shelanu, which eventually evolved into Mr. Broadway. It started out with a limited Israeli menu, yet considering the demographics in and around its location, it did not work too well. Over a period of seven years they slowly introduced various new types: deli, Chinese, shawarma and sushi. With the addition of all those cuisines Mr. Broadway, soon had one of the largest menus in Manhattan. With very moderate prices and the rich selection they expanded over the years and became a very successful venture, a fixture of the New York kosher Scene. About a year ago, Chef Dadi was ready for bigger challenges. 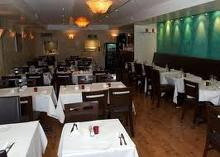 Together with Sidney Cohen he opened up 18 Restaurant on the premises of what used to be the high end Turquoise. In spite of the high quality of its servings, Turquoise had become a victim of the new recession. Walking into 18, with its turquoise wall and aquarium, opposite an antiqued stone wall and red fixtures, gives the impression of an upscale expensive place. A quick look, however, at the menu immediately dispels the notion of “expensive.” The food served here is of higher quality than at his former place and in the year since they’ve opened they managed to gather a faithful following that fills the restaurant every day at lunch and dinner. The sushi is superb, and coming from someone who never touched fish until two years ago, someone who never thought he’d ever taste sushi, you can take it as very high praise indeed. I can never resist ordering Chef Haim’s Yemenite Meat Soup, or his juicy hamburgers. He doesn’t serve exotic dishes, instead he specializes in a wholesome array including Eastern European, Mediterranean, sushi and deli selections. He envisions 18 as a purveyor of high quality food at reasonable prices and… the concept works! As a young child, Haim Dadi had a dream; as a man, he’s made the dream concrete! $32.00 per person, tax and gratuities not included. All wine, beer and alcohol billed separately. The nine days are almost upon us. Thank Goodness we hear less and less grumbling about being “limited” to meatless dining: Incidentally, this is the way we eat at home all week, so no hardship here, only delicious treats, with sizzling international flavors. Enjoy 18 Restaurant and Lévana’s Dinner and Show, gentle reader. Please make certain to register to the demo, as the venue has moved to my apartment! We grew up eating no end of salads at almost every meal: Is it any wonder we loved our veggies and ate them without any prompting? I am even including a dessert salad. True to form, we will bake an authentic Moroccan bread to go with the feast so we don’t leave a drop of sauce behind (this bread is the only item on the menu that will not be gluten-free). Registrations: A gentle reminder – Please register at least two days before any cooking class demo so A) We know for sure we have a demo going, and B) We have ample servings! P.S. Throw in a C) – It makes my life easier 🙂 P.P.S. Throw in a D) I’ll give you a free signed copy of my new cookbook if you bring a new friend! Thanks to Sidney and Tammy Cohen we did an incredible one hour show last week, live from 18 Restaurant (240 E 81st St, New York NY10065; Tel: 212.517.2400). Our guests lineup included: Gil Marks – author of Encyclopedia of Jewish Food, Chef Lévana Kirschenbaum – who spoke of her brand new cook book. Kim Amzallag from Kosher Inspired Magazine, Esti Berkowitz from the Prime Time Parenting blog and, of course, the incomparable Tammy Cohen . The food was great, the atmosphere just perfect and the place was packed. We all loved it! Then we’ll turn the conversation to Shavuos and dairy food with Brigitte Mizrahi and Moshe Vogel from Anderson International Foods (who manufacture the cholov Yisroel line of cheeses Natural & Kosher, and the non-cholov Yisroel brands Les Petites Fermieres and Organic and Kosher. We will follow with Kim Amzallag (whom I prerecorded yesterday afternoon), who will talk to us about the new Shavuos issue of Kosher Inspired and much more. Please tune us in this evening from 7:30pm t0 8:30pm, at: BlogTalkRadio/kosherscene. We have a very interesting program, geared to Shavuos (which is next week, starting Tuesday eve and continuing through Thursday night, the evening of the 7th through the 9th of June). We’ll be waiting for you! Last evening, SYR and I had the privilege to be at Sidney and Tammy Cohen‘s (partners at 18 Restaurant) apartment in Manhattan. We were there to commemorate the Hilula (yohrtzeit, as we ashkenazim call it) of Rabbi Meir Ba’al Haness. I had never heard of this custom until I got Tammy’s email last week… How I wish I had known of it earlier in my life! Rabbi Meir, the descendant of a former Roman emperor, eventually became a staunch supporter of Bar Kochba‘s rebellion against the Romans. Why was he called Meir, when tradition says that his name was either Nahori or Misha? “Meir” means “Illuminator,” as someone who illuminated the mind’s eye of students and scholars alike to give them an understanding of both the Written and the Oral Laws, he came to be known as Meir. 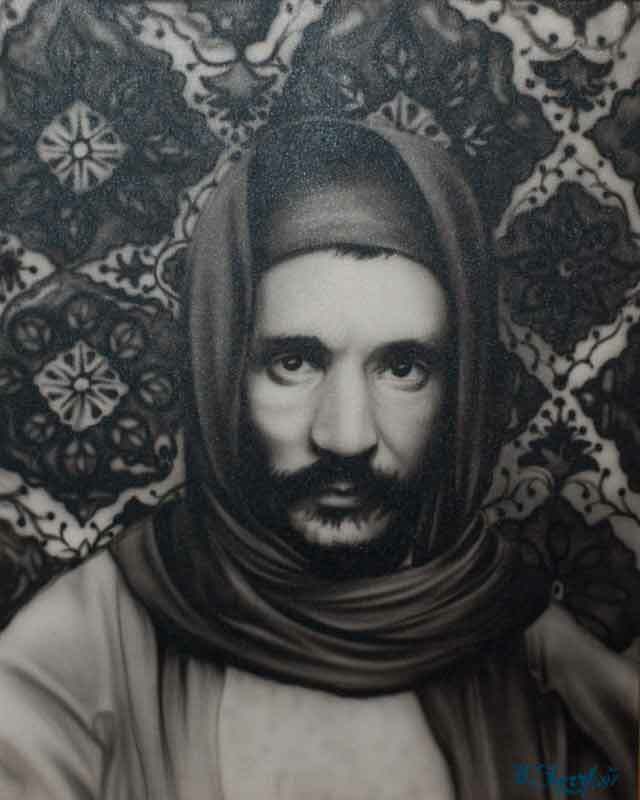 “Ba’al Haness” means “Master of Miracles,” why was that name added to him? It is related that on a certain occasion when a pack of wild dogs ran over to tear him apart, Rabbi Meir cried out: “Eloka d’Meir aneini – God of Meir answer me,” the dogs retreated. The Roman guard of a brothel was about to be hanged for having taken a bribe. He was bribed so as to allow Rabbi Meir‘s wife (Bruriah‘s) sister to escape (while still untouched) from the brothel where the Romans had condemned her to live her life in shame (after they killed her parents, the saintly R. Chananya ben Teradyon – one of the 10 martyrs we mention in the kinot of Tisha B’Av – and his wife). As the noose was tightened around the guard’s neck he cried out, “God of Meir answer me,” the rope tore – to everyone’s amazement – and the guard was saved! Rabbi Benchimol: "If you need anything, or if you have lost your way, Rabbi Meir Ba'al Haness will help you find it..."
Meeting friends and friendly strangers, praying with them mincha and later ma’ariv, listening to the Rabbi’s divrey Torah, pouring out my heart as I concentrated on my personal requests – while lighting my candle – the delicious food, the drinks, made this a very inspiring and enchanted evening. Thank you Sidney, thank you Tammy. Eloka d’Meir aneinU! God of Meir, answer US all! Kudos to our dear friend, Rabbi Yaakov Spivak at the Jewish Radio Network, for hosting the past eleven episodes of The Kosher Scene Radio Show. We’re so excited to announce that starting next week, we’ll be moving to a terrific new net station. We’ll be bigger and better than ever with new tech abilities and worldwide coverage. Check The Kosher Scene Radio for updates and details about our new and exciting venue. This week, however, we will be taking a week hiatus from radio while we make the necessary transitions. Last week’s show featured Moshe Aaron Zimmerman from Liquors Galore (1212 Avenue J; Brooklyn, NY 11230-3702; Telephone: 718.338.4166), if you missed it here is the archived show. In the past, Aaron has shared some basics of wine tasting on this blog’s pages, with a four part series on Enjoying Your Wine (Buying, Tasting, Storing and Grape Varieties). His talk on our show was interesting and very informative. Pastry Chef Paula Shoyer – Author of The Kosher Baker. Sol Kirschenbaum – Owner of Teaneck’s NoBo Restaurant (1400 Palisade Avenue; Teaneck, NJ 07666, Telephone: 201.837.1000), partner at Presidental Tours and Israeli wine expert. Elizabeth Bland – Blogger, writer (for various trade magazine) and lecturer on all subjects cheese. Gil Marks – author of the Encyclopedia of Jewish Foods and more. 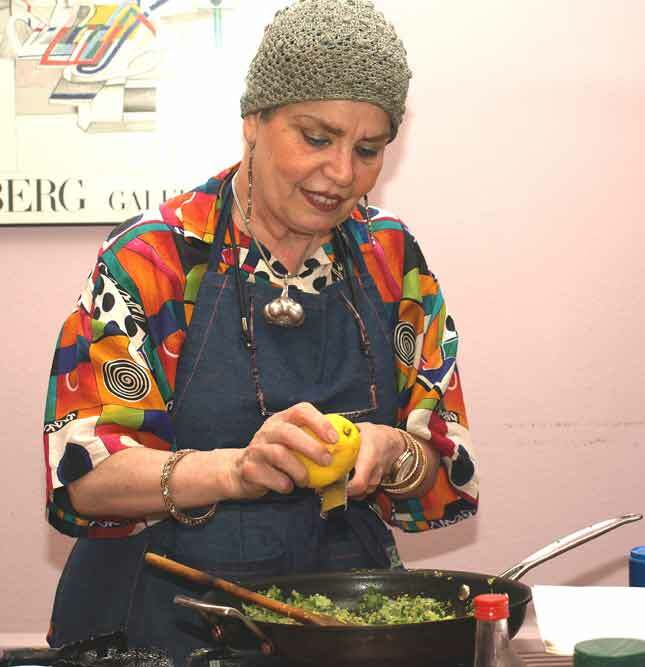 Nina Shapir – Owner and operator of Natural Village Cafe in Brooklyn. Jay Buchsbaum – Executive Vice President of Royal Wine Corporation. Chef Lévana Kirschenbaum – Author of three cookbooks (with a fourth one due out this summer), the visionary trailblazer behind the legendary Lévana’s Restaurant and cooking teacher extraordinaire. Chef Jack Silberstein – Partner at Jack’s Gourmet. We have a great lineup of upcoming guests, enjoy a quiet night off tonight, but be sure to listen our new show. We’ll give you the details at the beginning of next week. Tammy Cohen of 18 Restaurant was our guest this past Wednesday. Here is the audio file of that broadcast, in case you missed it. This week’s guest (on Wednesday, February 23rd) will be Rabbi Yaakov Spivak, we will talk about various inyonim concerning Purim. 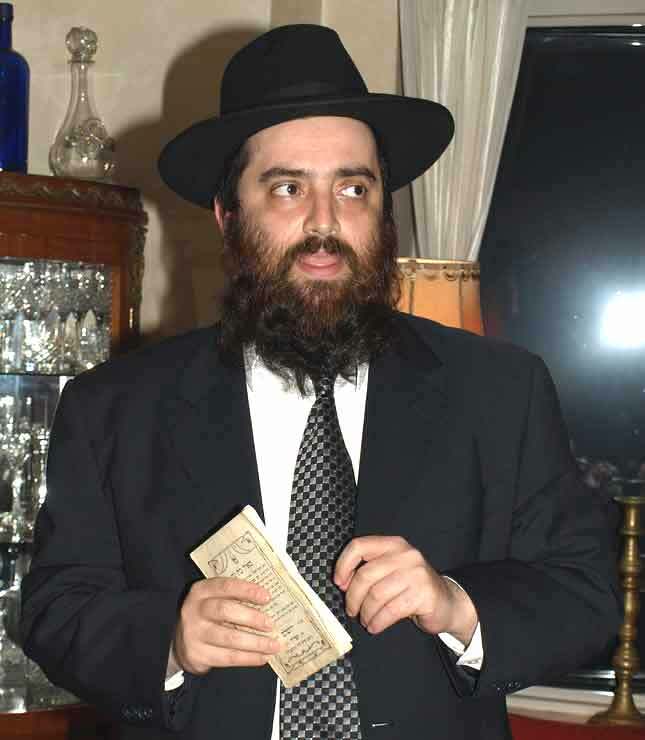 Rabbi Spivak, a native of Atlanta Georgia, received his ordination from Baltimore’s Ner Yisroel Yeshiva. He holds a Master’s Degree in Education from Loyola College, and is a nationally known newspaper columnist, as well as a radio and TV commentator and a never tiring community activist. As Rosh Kollel of Kollel Ayshel Avraham in Monsey, NY, he has seen his musmochim occupy positions in Jewish communities across the world. As Executive Director of EMES he’s known throughout the world for his successful efforts in combating missionaries and specifically those who called themselves Jews for Jesus. This group, particularly, regards him as their nemesis. 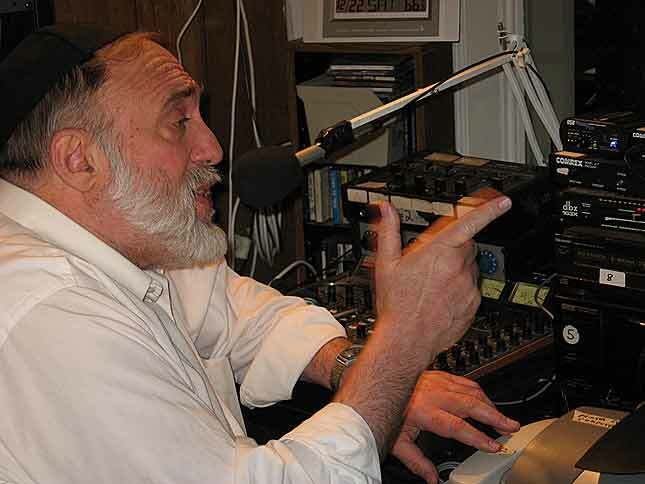 He is the founder of Jewish Radio Network, where we broadcast. We will be discussing some of the parallels between the narrative in Megillas Esther and today’s situation between Israel (world Jewry) and the leaders of Iran, as well some interesting Purim customs from around the world. Just listen in, gentle reader, at 8:00pm on Wednesday, February 23rd, on Jewish Radio Network. Enter the site and click on the red “here” under the white “Radio,” then wait about 30 to 90 seconds for the application to start streaming.